Written by Janet Choi on March 31, 2017 . The free trial is your product’s audition, the point of transition for people to move from an acquisition channel—content, paid advertising, word-of-mouth, etc.—to actual usage. This is the key timeframe to set people up for success. Don’t expect users to get excited for a product experience they’ll enjoy only after they start paying. So who handles the transition before and after signup for your SaaS users? Does the focus go from marketing to onboarding the moment that a customer enters a credit card? Many companies approach “activation” without actively managing this transition, assigning different teams to each period and breaking apart what should be a cohesive experience. The problem with this discrete approach is twofold: the customer experience begins well before people even think about paying money, and marketing extends far beyond the day of signup. Customers don’t see this as separate phases though, as they’re rooted in their own context, goals, and whatever else is going on in their life along this continuum of time. Often, SaaS companies can focus more energy on aligning their perceived experience with the customer’s actual experience. The most important place for this recalibration to take place is the free trial. Trials vary from one product to the next when it comes to time spans, sales processes, user communication, and product onboarding efforts. Whether you ask for a credit card upfront or offer seven days instead of thirty, and how you design the user experience within that time — it matters. The free trial is a leading indicator of the product experience. If the buyer isn’t the user, then a high-touch approach could be a good strategy. If the buyer and the user are the same, it’s probably not a good long-term bet. And if the buyer needs to get wider buy-in from their team, you’ll need them to become evangelists for your product and your brand. When you’re dealing with a variety of people along the way, they’ll need more time to try out your product. For example: developers, marketers, product people, and management may be involved at various points of deciding to set up, purchase, and use Customer.io. There’s no way to get buy-in and kick the tires enough for a fair evaluation in seven days. Thirty days provides a reasonable working period in which a lot needs to happen, while still injecting some sense of purchasing urgency. There’s no magic answer for what will work for your SaaS product or your particular customers. Conversion rates and sales velocity will rely on a combination of how your customers behave and how you’ve designed the free trial experience. Here’s a look at how different trial length periods affect that user experience. In each case, the average user isn’t going to need that much time to decide if the service is right for them. The company can explain features and benefits, help make connections with friends, and show off recommendations. Most importantly, seven days is just enough time to get a trial user to accomplish one key action—sometimes, that’s all you need to hook someone for the long run. Spotify, for example, aims to get its users to build a playlist. Playlists are extremely important in the music-streaming arena because switching between services like Apple Music, Tidal, and Soundcloud is otherwise frictionless. Your playlists, however, live on a specific platform. Getting users to see the value in Spotify’s playlists is key to building a sense of attachment. For a social app, that one key task might be adding contacts. For a productivity app, it could mean checking off three to-do items. Whatever you choose, it should engage users with the core functionality of your product—and ideally, provide value that persuades them to stick around for longer. The short amount of time in the 7-day trial, combined with B2C volume of signups, is actually a useful constraint. Marketing and product teams are forced to focus on engagement and introduce the user to a great product experience. 14-day trial, expires without CC. This approach works for both consumer and business applications to illustrate use cases, use engagement to collect data, and impact conversion via messaging that leans on specific calls to action, as opposed to information and recommendations. 14-day trial, CC required upfront. Companies that require a credit card upfront assume their users are already highly motivated. It’s a bit unfair to call these trials “free”, but users still have an opportunity to cancel without getting charged. With more of a conversion happening on day zero to get the credit card in the first place, the entire trial experience focuses on onboarding as opposed to selling. 14-day trial, then freemium. While this is a comfortable approach for both parties, when a team knows that trial users will be relegated to freemium users without a conversion, there’s less incentive to get them successful during the trial. Campaigns often lean on retention messaging to try to get inactive users going again. Freemium, offer 14-day trial of premium, no CC required. There’s no built-in urgency in a freemium plan, and offers to upgrade are typically based on unlocking new features or accessing more of something (unlimited reports vs. five per month). 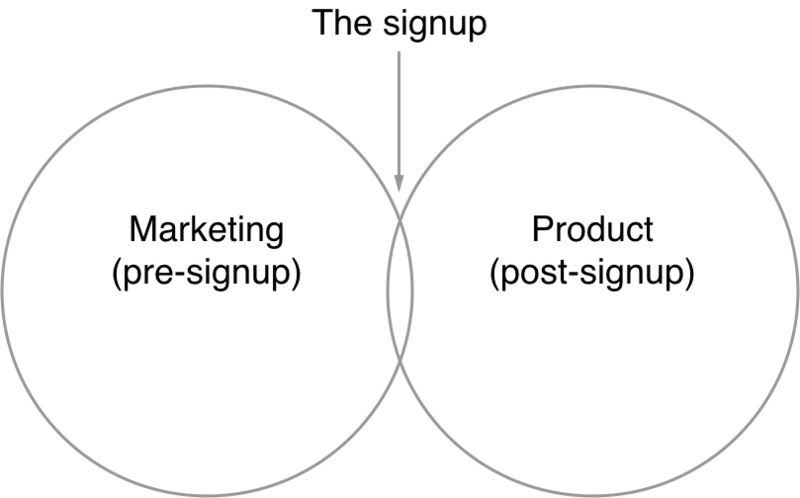 This approach opens the door to interesting behavioral messaging opportunities. When a user hits the monthly quota or tries to advanced features, you can ask them to upgrade. Done well, this is a win-win. Done poorly, it creates a situation where users can’t stand your constant calls to upgrade. Freemium, offer 14-day trial of premium with CC required. The credit card makes all the difference. For consumer apps, this is typically a tough sell unless the premium version is big step up from the free version. For business apps, it’s likely a matter of ROI. If the user is getting value but maxes out their monthly quota, it won’t be hard to get the boss’s credit card. The path you pave for a simple two-week timeframe makes a huge difference in the user experience. Choose an approach that provides your users with value rather than constant requests to upgrade. It’s okay to take a longer-term approach even with short trial periods when you have a good messaging strategy in place. Many B2B applications use a 30-day trial since these tools tend to be more expensive and complex, require more organizational buy-in from customers, and involve testing and migration. Again, there are myriad combinations of asking for credit cards upfront or later on, letting people continue with a free account after a trial ends, etc. All of the same questions that you’d ask yourself about 14-day trial apply here too. The biggest difference is that a 30-day time period provides a larger window of opportunity to sales and service models. The self-serve model is appealing since it forces SaaS companies to build tools that are truly self-explanatory and limit the amount of manual work needed to close a sale. In an efficient world, everything is automated. The problem is that most SaaS tools aren’t truly self-explanatory and require robust help documentation and lifecycle messaging to onboard trial users. As Andreessen Horowitz partner Mark Cranney argues, sales teams are necessary to drive growth with large customers. “Even with early viral growth, SaaS products don’t sell themselves,” Cranney writes. “Selling an enterprise-wide deal is a lot like getting a bill passed in Congress.” Thirty days is long enough to launch a multi-channel effort aimed at conversion. This can be good or bad for users, depending on the tone and volume of outreach. Cranney explains that a sales rep’s role is to understand before being understood. 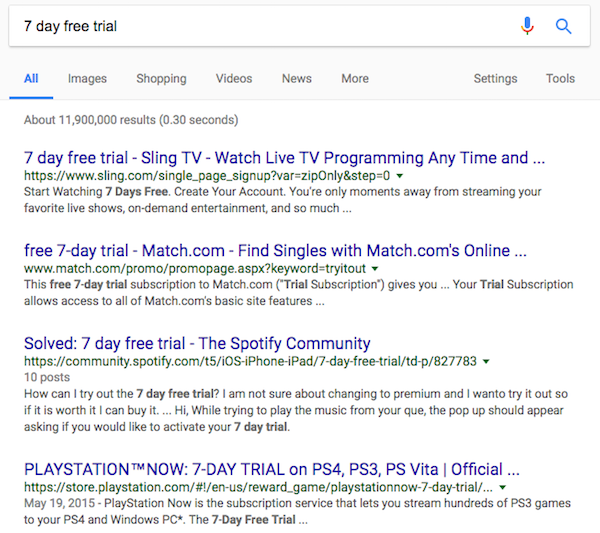 Getting a handle on why the user signed up for a free trial in the first place, then connecting the dots to the features that can help actually makes for a great user experience. Sales shouldn’t be about selling and sales teams per se—it’s a blend of customer service, account management, and technical support. Done well, it can increase conversions, drive land-and-expand efforts, and build meaningful personal relationships with customers. 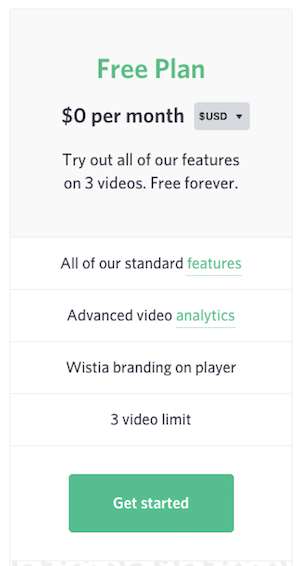 It took us six years to launch a free plan at Wistia. We had early customers who started off paying $50 a month, and were eventually paying more than $1,000 a month. That proved to us that once we got people to sign up, they’d be hooked. By the time we released the free plan, we felt really confident that it was the right choice. Wistia found that experiencing the features that set their product apart from competitors like YouTube is the key to unlocking growth. That may not be true for every company, so it’s worth investing the time to understand what exactly makes customers tick. There are plenty of opinions, approaches, examples, and counterexamples for how to structure a free trial. Close.io CEO Steli Efti recommends a 14-day trial as optimal for most B2B SaaS products. The folks at Madkudu found that 50% of SaaS conversions happens after the trial ends, regardless of length, when they looked at a small sample of companies. Appcues found that putting up a paywall at the 30-day mark and offering trial extensions sped up their sales by 68% while ProdPad sees great success in their magically extending free trial. It’s no surprise that growth expert Lincoln Murphy calls free trial length an “external-facing marketing gimmick.” The best free trial length, according to Murphy, “is what’s best for your current situation.” And there are two sides to every trial situation you build: what the customer encounters for a period of time and your job in making good stuff happen for them during that encounter.